Well aren’t Jim and I special – we are THE FIRST INTERVIEW given after new Director of Fish & Wildlife for Minnesota Department of Natural Resources, Jim Leach, took office on April 18. And isn’t that something his first interview is a podcast? Not radio and not print? That’s 2016 digital marketing trends right there, folks. 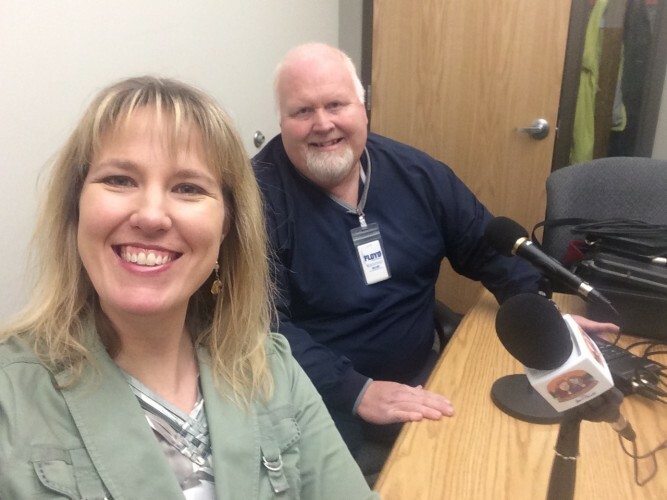 Also on the podcast is our good friend Mike “cold front” Kurre, Mentoring Program Coordinator for MN DNR and Deb Byer, Outreach Section Chief (his boss). I meant to ask Mike what’s the deal with his nickname, perhaps another time. I first met Mike at the Minnesota Governor’s Deer Opener a few years back when Jim and I (and a few others on our team) took home the battle ax. Which now I can’t remember the deal on that…but we were awesome that day battling it out against other teams, so that’s truly all you need to know. In this episode, we talk about recruitment and retention efforts and why Minnesota DNR is leading the way with unique programs to introduce newbies to the outdoors. Deb also talks about the Becoming an Outdoorswomen program (BOW) of which I’ve participated in a few of the programs in the past and highly recommend it!! The Minnesota event calendar is here. 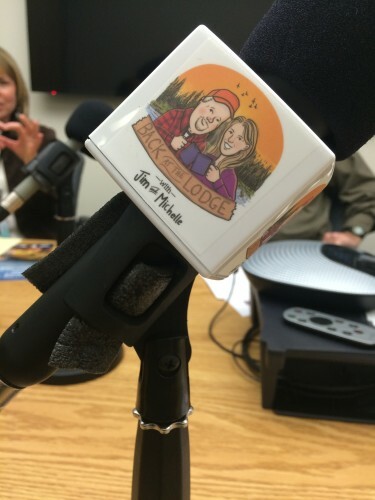 Check out the snazzy mic covers Jim ordered for us. And I jump on my soapbox about the decline in usable/tillable ag land due to new home construction…except no one seemed to really understand what the hell I was talking about, so they must all live in new houses. Jim Leach offers his views on what is most important to tackle in Minnesota right now – of course walleye fishing in Mille Lacs lake is always on that list. We talk about ’cause and effect’ as it pertains to our environment and Jim says his number one resource at the MN DNR is….people. Good answer, Jim. If you’ve given the DNR office or on-the-ground conservation officers grief in the past – listen to Jim talk and you’ll understand that the DNR is on your side and WANTS to hear your voice.